Precise details aren't certain, and we're as curious as you are when it comes to the nature of this new technology, still allegedly in development. All we know is Fossil and Google seem to think it's a pretty big deal. "We’ve built and advanced a technology that has the potential to improve upon our existing platform of smartwatches." said Greg McKelvey, Executive Vice President, and Chief Strategy and Digital Officer at Fossil Group. "Together with Google, our innovation partner, we’ll continue to unlock growth in wearables." Still, this move is at least partly reminiscent of Google's HTC's hardware team acquisition in 2017-2018. Perhaps in-house wearable hardware may finally be in the pipeline? For context, Fossil Group owns and licenses a sizable chunk of fashion-oriented watch (and smartwatch) brands, including Misfit, Skagen, Armani, Michael Kors, Marc Jacobs, Kate Spade, and Fossil itself, among a larger list. The company invested heavily in Google's Wear OS for its own products, so it's not surprising it would be working as closely with Google as this announcement implies. We've speculated at the coming death of Wear OS, but Google's Stacey Burr, Vice President of Product Management for Wear OS, reiterated the company's long-term plans for the platform in the press release detailing the IP purchase: "The addition of Fossil Group’s technology and team to Google demonstrates our commitment to the wearables industry." If any more information is revealed, we'll be sure to let you know. The full press release announcing the sale is embedded just below. 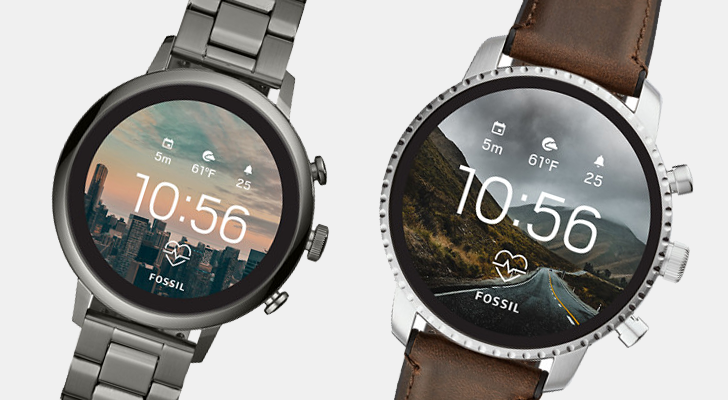 RICHARDSON, Texas – January 17, 2019 – Today, Fossil Group (NASDAQ: FOSL) announced its plan to sell to Google for $40 million intellectual property (IP) related to a smartwatch technology currently under development by Fossil Group. As part of the transaction, a portion of Fossil Group’s research and development (R&D) team currently supporting the transferring IP will join Google. Fossil Group retains more than 200 R&D team members to focus on innovation and product development.